Superb value light-weight family runabout – chuck it in the boot of the car, or into the caravan to make trips near the water much more exciting. 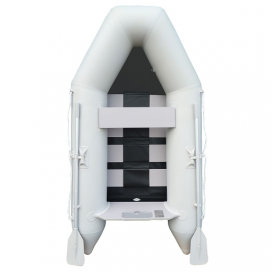 The boat easily rolls away to the size of a large suitcase (carry bag included). 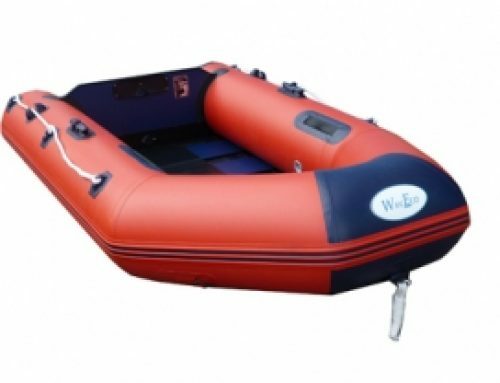 2.3 metre boat (7’ 6”) – Carries upto 3 persons (up to 275kg inc. engine). Takes around 10 mins to inflate (foot-pump included) – About 5 mins to deflate and put back in bag. 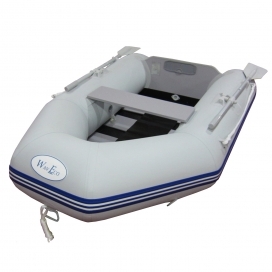 3 year fabric and seams limited warranty on boat. 7 year limited warranty on TOHATSU engines.